When we first moved into our home 15 years ago, I was very ill and desperate. To clarify, I was very ill, my husband and I were both very desperate. Moving to the beach was a last ditch effort to survive. Even though in 2000 we did not have an active internet community to pool our MCS wisdom, I still could trust the combined advice of medical personnel and my own instincts to know that a safe home, providing 24 hour guarantee of no triggering exposures, was the only way I was going to survive. We did not build from scratch, we did not have time for that. We bought and renovated as quickly as we could. To do that, we had to prioritize the jobs that were either the most egregious toxic sources or my worst triggers. Carpeting, a wood burning stove, laying down safe flooring, taking down wood paneling and putting up safe(ish) drywall. Everything needed to be painted and we needed some new appliances. Two bathrooms had cabinetry that had suspicious mold and had to go. There were some jobs that quite simply got postponed. For example, there were showers that were dated aesthetically and difficult to clean. My cleaning arsenal of soap, vinegar, and Bon Ami is no match for tiny tile work in humid Florida. So now 15 years later, mold is showing and the caulk is almost gone. 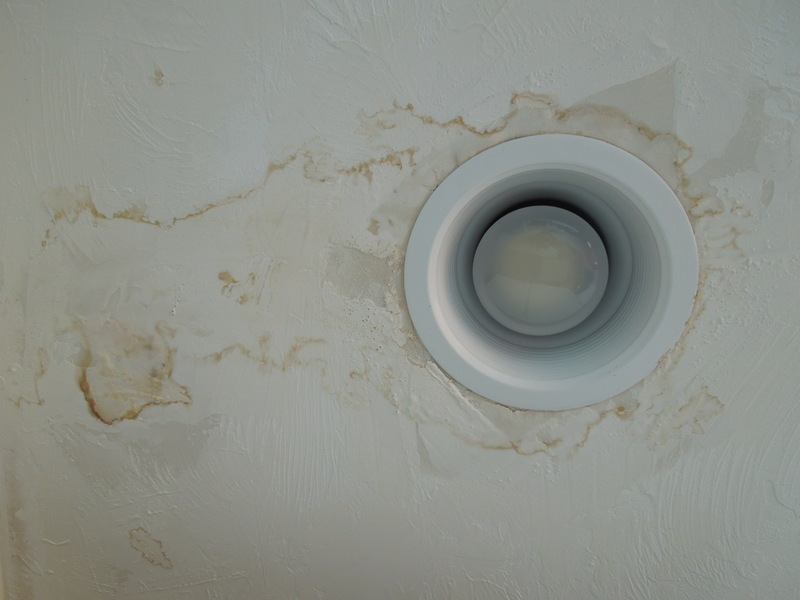 We have to fix those issues before they turn into mold damage to our health or leaks through missing caulk that would damage the floor or walls. 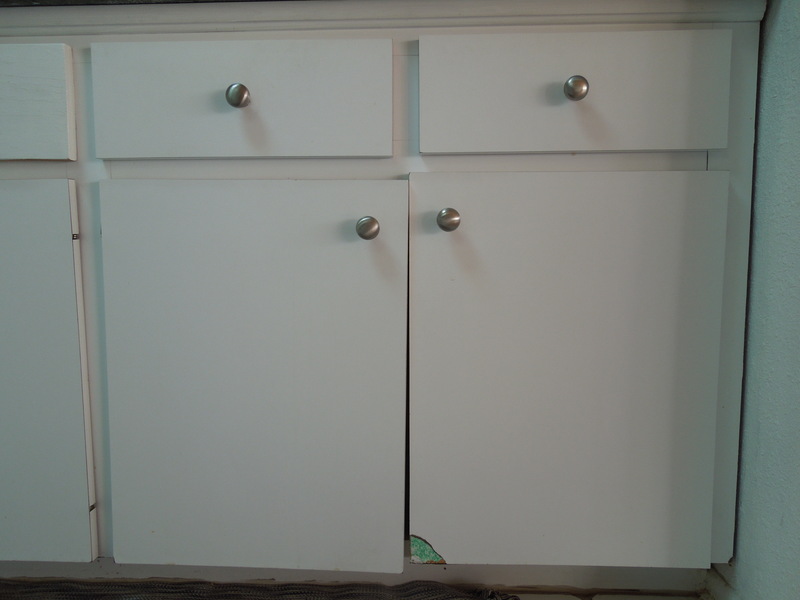 When we moved into the house, there were typical pressed wood kitchen cabinets that were ugly but since they were already ten years old the outgassing had already been done and we didn’t want to jump into that complicated situation. Now a roof leak has one of the cabinets full on mildew and the remaining doors and shelves are crumbling anyway. Postponing those jobs was the right thing to do at the time but the bill has come due. Time for some complicated work. I am frustrated that it comes so soon after a fairly large renovation last summer because every job, no matter how well planned, means some level of exposure for me. That means further trade offs; there will be other things I can’t do because my home is not my safe recovery space while we do some work. However, I have to do the work now, or my home will be even more unsafe. A little bit of bad to avoid something even worse. So the roof leak is getting fixed and the obviously molded part of the cabinets has been cut away. Replacing the cabinets will be a time consuming process, mainly because of the difficult choices and complicated planning for me, the chemically sensitive homeowner. For those who have not had to dig into this problem, let me summarize. Cutting away the moldy part of the cabinet. Most kitchen cabinets are made from composite wood. Even if the doors are solid wood, the boxes are composite. Even if they look like stainless steel, they may have composite wood core. Even if they claim to be low VOC, they are probably made from composite wood. Composite wood is made by gluing together pieces of wood using urea formaldehyde adhesives which outgass one of the worst VOCs, formaldehyde. Standards are more stringent than they used to be and there is a range of emissions rates depending on the material. In general, particleboard, medium density fiberboard (MDF), and plywood outgass in decreasing order, making plywood the safest. Typically, the composite wood core is then sealed with something, like laminate and that cuts down on the formaldehyde outgassing quite a bit. I’ve seen numbers as encouraging as 80% reduction of emission. But of course, vinyl laminate will have its own PVC outgassing issues and has to be glued on with a high VOC adhesive. Frequently, these laminate sealants are only placed on the surfaces one sees, so other interior exposed composite wood surfaces are still outgassing. For the vast majority of these options, cabinets then become the main source of formaldehyde in your kitchen, possibly your home. Tricky stuff. Most resources, especially reputable ones like the Healthy House Institute , recommend that customers use solid wood or stainless steel. These are expensive, like very expensive. One could cut down on cost by doing open shelves in those safer material choices. Or try to find someone who works worth formaldehyde free exterior or marine grade plywood, though you’ll still have to finish it with something. At first look, nothing is an obvious ideal solution for my home. 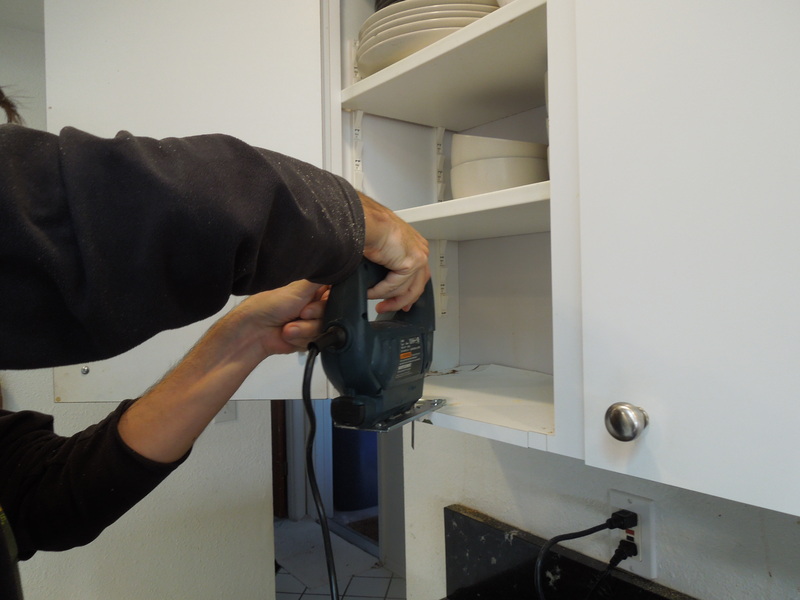 We are not prepared to spend the kind of money involved with replacing all of the cabinets with stainless steel or solid wood, nor have we found anybody locally that is even willing to work with those materials. Open shelves sound great and might work for part of the kitchen. But lets face it, we are a not a single, hip, young person who can stack all their kitchen goods neatly. We have two kids and the cabinets that go with that; messy snack drawers, baking good supplies with mismatched utensils, glasses that don’t match, etc. I have found somebody who works exclusively with formaldehyde free composite wood and he is coming to talk with me in my kitchen next week. I have many questions for him. Even though it’s formaldehyde free it’s going to do some VOC outgassing. Can he store the cabinets for a while before they come into my space? What will we cover the core materials with? Can we change out as much cabinetry as possible without removing and redoing our granite countertops which are beautiful and in good shape? That process would come with a lot of adhesive material issues, I assume. And then the little question of cost. If I don’t like those answers I suppose I will go back to pricing stainless steel cabinets and try again to find a local installer. I am sure that along the way I will learn more things to put in my renovating guidelines for the chemically sensitive that I have been refining. The main thing I learned last time was to micromanage air flow in my air space. Let me know if you’ve got any suggestions, good experiences, or cautionary tales. Tags: composite wood, formaldehyde, kitchen cabinets, low VOC, MCS, Multiple Chemical Sensitivity, renovation, TILT, Toxicant Induced Loss of Tolerance. Bookmark the permalink. I miss the days of just fixing/replacing something when it needed to be done. I think there are some projects in my house that will never happen because of my sensitivities. Good luck with the new cabinets. I hope you can enjoy them rather than get sick from them. ooooh, thanks for the resources! One day I’ll be building or renovating my very own place (not renting something totally unsuitable). I’d love to build from hay bales (cheap) but I hadn’t thought about any of the fittings yet… Ouch. You are and continue to be a rockstar!! Sounds great! But I can’t find any details about what its actually made of or any MSDS sheets which is probably my poor googling skills (bit foggy in the head today) and not a reflection of the product. Lemme know if you find some more details b/c it seems very interesting.